When your car vehicle battery is dead, the Black & Decker Battery Booster ishere to get you back on the road. Simply plug the booster into the 12 Volt DCoutlet or clamp it directly to the battery. Turn it on and start your car inminutes. 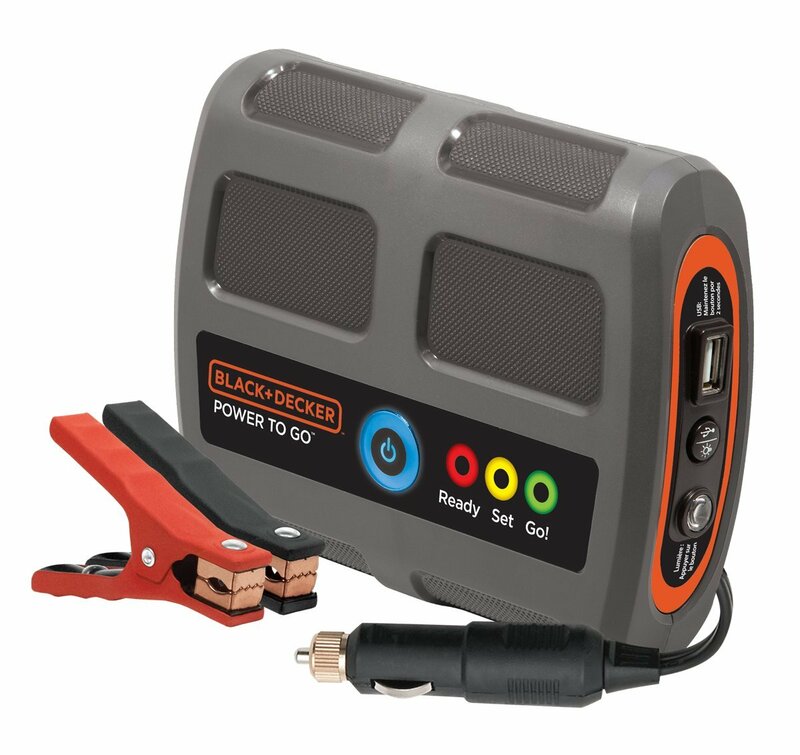 The Black & Decker Battery Booster includes a multi-color power /status indicator to let you know when to start your vehicle. It also includesa 2 amp USB charging port to use as a portable power source for charging cellphones, tablets or any electronic device that needs power through a USB port.The Power Booster also has an emergency LED light built in.